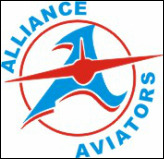 Alliance High School has enjoyed many outstanding centers in football in its rich football history. Carl Dietz is right up there with the best ever. How good was Dietz? Consider this: Dietz was named the center on the “All Mel Knowlton Dream Team.” Knowlton, the legendary head football coach at Alliance, coached countless gridiron greats and is regarded as one of the finest head coaches in Ohio High School football history. Carl Dietz was the center he selected as Alliance’s best ever! Dietz was born in Alliance on April 29, 1937. 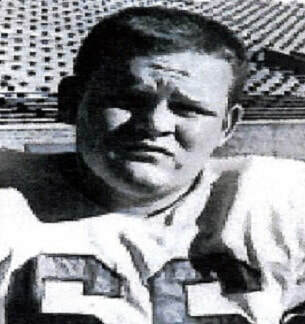 He played center and defensive end for Alliance in 1952, 1953 and 1954. Following the 1954 season, he received countless honors, included First Team All-WFAH, First Team All-Alliance Review, First Team All-WHBC and First Team Canton Repository All Stark County. In addition, he was named Third Team UPI All-Ohio and Third Team AP All-Ohio. In his senior year, Dietz was selected as a first alternate on the Ohio North All-Star squad. Carl Dietz received a full football scholarship to Iowa State University. Later in his career, he enrolled at Bowling Green State University and was briefly on the football team there. Dietz served in the United States Army from 1958 to 1960 and was stationed in Alaska. He served as president of the Alliance Recreation Board under Alliance Mayor Jim Puckett. Dietz was also president of the Taylorcraft Flying Club and is a holder of a private pilot certificate. Dietz lived in Arkansas until 2013, when he and his wife, Jo, moved back to Alliance. He married Jo on January 20, 2010. She is an ordained minister, currently serving the congregation of Emmanuel Lutheran Church in North Georgetown. Dietz was nominated for the AHS Athletic Hall of Fame by Joel Cockley.